We all know by now how my projects turn out. Take this website for example, no posts since a one-off last summer, and then nothing for almost another year. History will probably repeat itself here too, so if you feel you’ve been burned before, then now is probably the right time to stop reading. 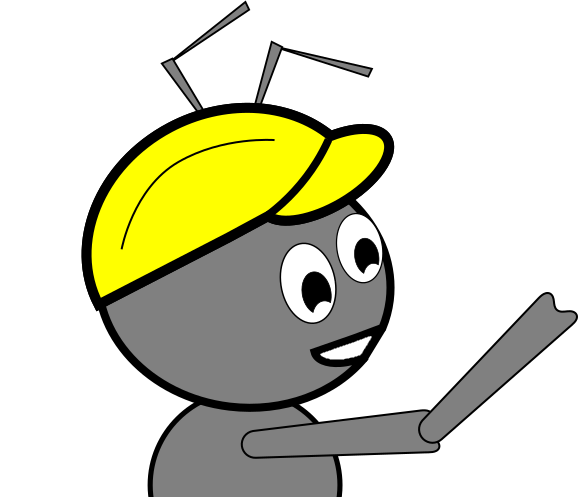 If however you’re prepared to indulge me, this post will hopefully mark the first of a series of activity around my latest project, which currently has no real name other than “project ant” (on that note, if anyone can think of a decent name, please let me know!). 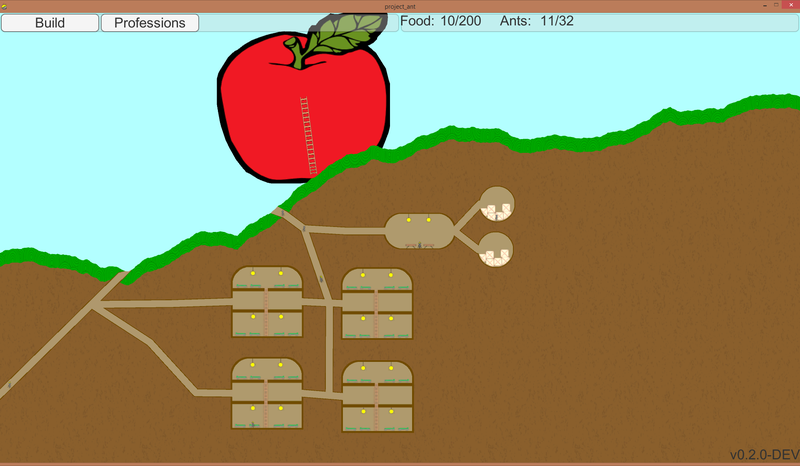 Project Ant is a 2D simulation / strategy game I’ve been working on for a couple of months now. It’s an experiment to see just how far I – someone with very little games development experience and absolutely no artistic talent – can take a game under my own steam. 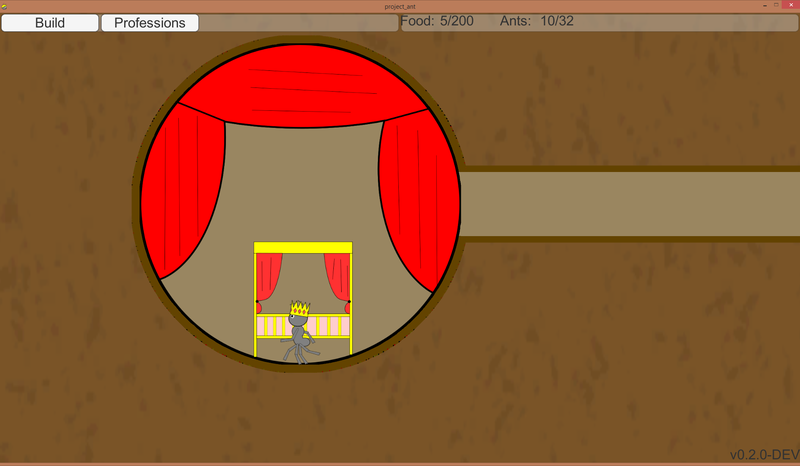 The objective of the game will be to build, grow and manage a colony of ants, surviving against hostile colonies as well as other dangers. 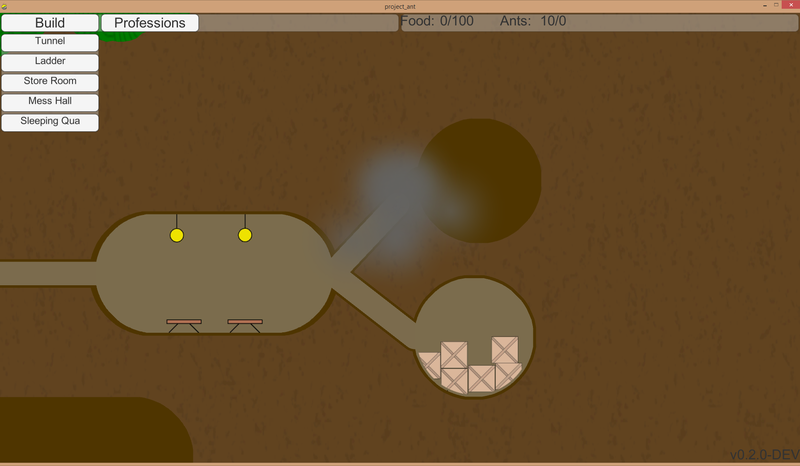 The gameplay will be fairly slow-paced, with a focus on taking macro-level decisions rather than micro-managing individual ants. 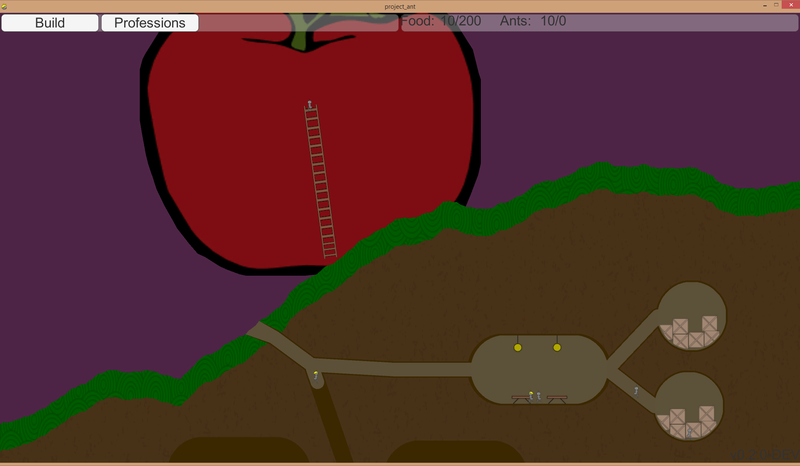 My inspiration comes from my enjoyment of simulation games in general (recently Cities: Skylines and Prison Architect have been big motivators), with a twist of Worms. I recently hit my first arbitrary milestone of v0.1.0 which I’ve given to a couple of people to start testing. If you’re interested in being a tester, let me know (see my twitter in the sidebar). Current supported platforms are Windows and OSX (but I don’t see any reason why it wouldn’t work on Linux either). Anyway, I feel like that’s enough waffle for now. 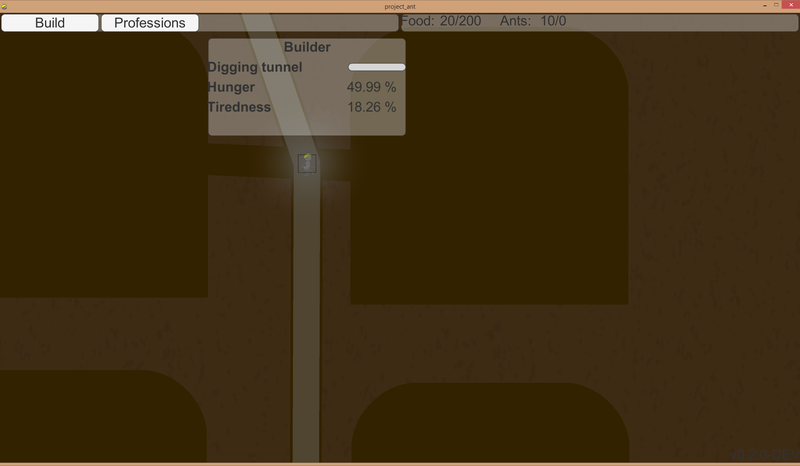 I leave you with some current progress screenshots, and the vague promise that I will post updates soon. Until next time!